An introduction to Special Education and Disability Awareness provided by Freshwater Education District. Special Education programs and services adapt content, teaching methodology and delivery instruction to meet the appropriate needs of each child. Special Education is available to children from the age of 3 until they reach 21 years of age. Special Education broadly identifies the academic, physical, cognitive, and social-emotional instruction offered to children who are faced with one or more disabilities. The range of special education support will vary based on need and educational jurisdictions. Referral is made to special education team after 2-3 interventions for 6-8 weeks have been conducted with low or no growth. A team develops comprehensive evaluation plan. If eligible, an IEP (Individual Education Plan) is developed for that student. 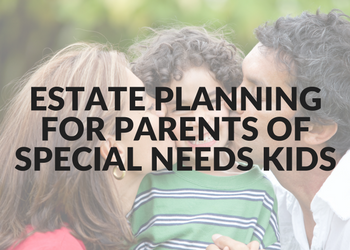 An IEP clearly defines the individual goals and objectives set for a child with a disability. 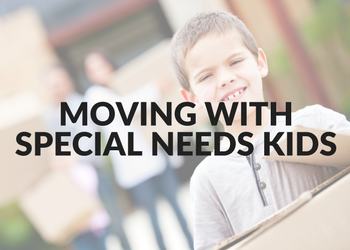 It is a legal document with written documentation of the special education program and academic modifications required to meet the child’s individual needs. IEPs are developed by a team including the child’s teacher(s), parent(s), and supporting school staff. The team meets annually (at a minimum) to assess the academic and developmental progress of the student, design appropriate educational plans, and make any changes if necessary. They meet every 3 years to re-evaluate if the student continues to be eligible for services. The main goal is to ensure the child is receiving appropriate and adequate services within their Least Restrictive Environment (LRE). What must an IEP include? Freshwater is an Education District made up of member districts who choose from a variety of services that would not be cost effective to provide on their own. They stretch 62 miles North to south from Menahga down to Long Prairie, 66 miles east to west from Perham to Pillager crossing through 5 counties. Our mission is To increase and improve learning opportunities for all learners in our member school districts. What services does Freshwater provide? Special Education, Early Intervention, Alternative Education Centers, Career and Technical Services (Carl Perkins), Early Childhood Family Education / School Readiness Community Education, Licensure Support, Collaborative Services, Gifted Programming, Technology and Network Support, Supplemental Education Services, Level 4 facility for the higher behavioral needs and students with autism. Freshwater provides a variety of services for infants, toddlers, and preschoolers with special needs. Children who are referred are evaluated with a comprehensive developmental assessment. Upon qualifying children can receive early intervention services. 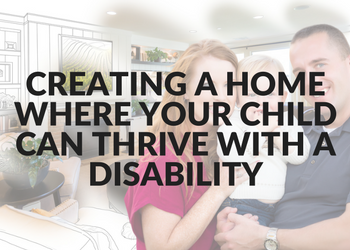 Infants and toddler are provided with home visits to work with families on how to incorporate activities for learning into their routines at home. Service providers include Early Childhood Special Education teachers, physical therapists, occupational therapists, speech clinicians and any other special education services as necessary. Preschool aged children generally attend a center based program that offers activities to encourage their development. All of our sites are team taught with other preschool programs in their respective communities in inclusive sites. Service providers work within these sites to individualize programs to meet the children’s specific needs. These providers include ECSE teachers, physical therapists, occupational therapists, speech clinicians and any other special education services as necessary. To make a referral for developmental testing or with concerns about a child’s development, call Margaret Grondahl at (218) 631-3505 extension 1014. The purpose of Leaf River/White Pine Academies (LRA/WPA) Level 4 Programs is to provide an effective academic and behavioral program in a safe, structured, and encouraging environment for students’ with emotional and behavioral difficulties. This is achieved by using a system wide approach that utilizes Positive Behavioral Interventions and Supports (PBIS). Our purpose is also to provide support to the families and school districts referring students to our programs. Students attending Leaf River Academy will also have support to meet their goals in a nurturing, therapeutic environment in addition to the educational setting. Elm Tree Academy (ETA) is a program primarily designed for students with Autism Spectrum Disorder (with a low cognitive ability) and students with a Developmental Cognitive Disorder. This program is structured for students with significant challenging behaviors as a result of their cognitive disability and severe social thinking difficulties. The program uses structured teaching methods and research based interventions to facilitate learning and decrease challenging behaviors. 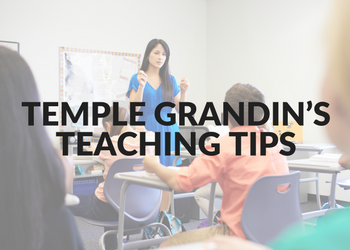 The student will learn how to use a visual schedule, work independently, learn basic self-regulation strategies, and learn basic social thinking strategies to participate as a member of a group. The goal is to implement these interventions consistently and with fidelity so that the student can demonstrate progress and success. For more information, please call Jena Osberg at (218) 631-3505 extension 1037. Freshwater Special Education Services provides services to member districts that are needed to assist special education students achieve their individualized education goals. These related service providers work with the special education instructors to provide comprehensive special education evaluations, modify programs and activities, adapt equipment, and give suggestions to increase function in the school environment. 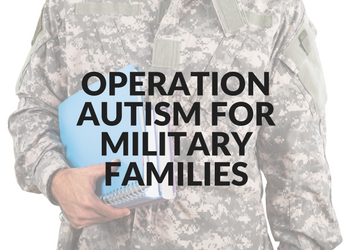 These professionals also work with outside agencies to make referrals, collaborate on programming ideas and progress, and coordinate information with families. Service providers include: school psychologists, school social workers, physical therapists, occupational therapists, autism specialists, vision specialist, audiologist, deaf/hard of hearing specialist, physical/other health impaired and assistive technology specialist. For more information, please call Lori Murdock at (218) 631-3505 extension 1042. Special education professionals use these categories to diagnose students. Provided by Freshwater Education District. Autism Spectrum Disorders (ASD) are a set of neurodevelopmental disorders that affect how children process information and see the world. 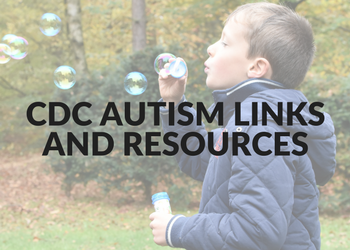 ASD can impact children’s social relationships, communication skills, and behaviors in different ways and to different degrees. Children with ASD may have restricted interests or repetitive patterns of behavior. ASD usually appears during the first three years of a child’s life. Most parents first notice the loss of skills or developmental delays when their child is 15 to 18 months old. Symptoms can range from very mild to sever. 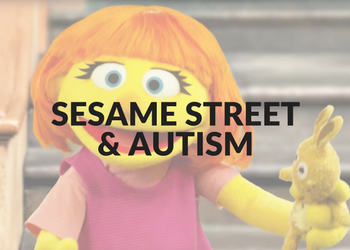 Each child might display a unique combination of characteristics ranging from low to high functioning forms of ASD, requiring individually determined educational and treatment programs. “Visually impaired” means a medically verified visual impairment accompanied by limitations in sight that interfere with acquiring information or interaction with the environment to the extent that special education instruction and related services may be needed. A student with visual impairments and a functional need may be considered for special education under the Blind-Visually Impaired (BVI) category. Deaf-Blindness means concomitant hearing and visual impairments. 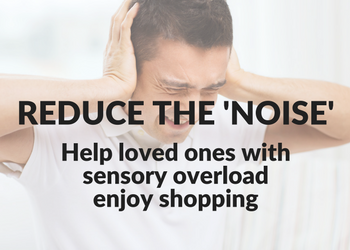 The combination causes severe communication and other developmental and educational needs that cannot be accommodated in special education programs solely for children with deafness or children with blindness. Children and youth who have varying types and degrees of hearing loss may be eligible to receive special education and related services under the disability category of Deaf/Hard of Hearing. Developmental Cognitive Disability (DCD) is defined as a condition that results in intellectual functioning significantly below average and is associated with concurrent deficits in adaptive behavior that require special education and related services. A child up to age seven who is experiencing a measurable delay in development according to diagnostic instruments and procedures fits the Developmental Delay (DD) disability category. Students who may be considered for special education under the Emotional or Behavioral Disorders (EBD) category need specialized services for emotional or behavioral supports for a wide range of complex and challenging emotional or behavioral conditions. Medical, biological, and psychological conditions as well as genetic dispositions can affect these students’ ability to learn and function in school. Other Health Disabilities (OHD) includes a wide range of chronic or acute health conditions, including Attention Deficit/Hyperactivity Disorder (AD/HD), that range from mild to severe. Medications, treatments, therapies, and repeated hospitalizations can affect a student’t ability to learn and function at school. A student with such a condition may be considered for special education under the OHD category. Students determined to be Physically Impaired (PI) have medically diagnosed, chronic, physical impairment, either congenital or acquired, that may adversely affect physical or academic functioning and result in the need for special education and related services. Examples of diagnoses that may meet these criteria are cerebral palsy, spina bifida, muscular dystrophy, spinal cord injury, otegenesis imperfecta, and arthrogryposis. Specific Learning Disability (SLD) is a disorder in one or more of the basic psychological processes involved in understanding or in using spoken or written language. The disability may be exhibited as an imperfect ability to listen, think, speak, read, write, spell, or do mathematical calculations. SLD also includes conditions such as perceptual disabilities, brain injury, minimal brain dysfunction, dyslexia, and developmental aphasia. Traumatic Brain Injury (TBI) means an acquired injury to the brain caused by an external physical force, resulting in total or partial functional disability or psychosocial impairment, or both, that adversely affects a child’s educational performance. Traumatic brain injury applies to open or close head injuries resulting in impairments in one or more areas, such as cognition; language; memory; attention; reasoning; abstract thinking; judgment; problem-solving; sensory, perceptual, and motor abilities; psychosocial behavior; physical functions; information processing; and speech. Traumatic brain injury does not apply to brain injuries that are congenital or degenerative, or to brain injuries induced by birth trauma. 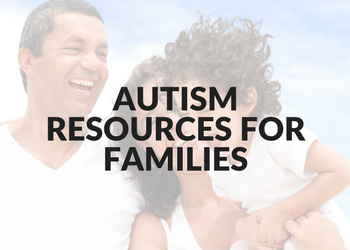 Here are a variety of useful resources for families of students with autism.